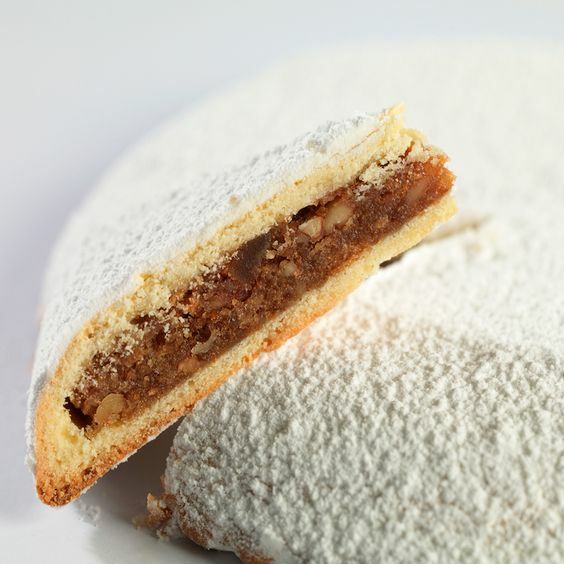 End your dinner with this special dessert: a delightful cake with a thin crunchy top and filled with a tender spicy brown cream made with almonds, orange cubes, raisins, pine nuts, honey, apricot jam and spices. The traditional recipe of Spongata traces back to the 14th century yet it is still irresistible! The family of our trusted producer started the production of Spongata in 1863, in the little town of Brescello. Their recipe has been handed down for generations and today it is still made by hand. Enjoy this flavourful treat!